MotorEthos - Discover Your Drive. For the second time this year we've been invited on a 3-day rally. Our first rally (The Spring Colors Moto Tour), back in April, was the genesis of MotorEthos. We met so many people across all generations we were inspired to share that enthusiasm with anyone who'd listen, read, and follow us. So you can imagine our excitement when we were asked to return for the sister event; The Fall Colors Moto Tour. In fact, we had so much fun the first night we closed down the bar with about 5 other blokes which complicated day two's trip. (Life lesson: don't try to out drink an Englishman). Perhaps we should do a post on what not to do on a 3-day road trip; at least if you want to actually make it through... But we digress. For our first rally we were fortunate to have a friend generously bestow us with a loaner 1966 Porsche 912. Prepped and ready to go he tossed us the keys and we joined the caravan. This time we've got our own cars and it's time to do all the front end work ourselves. Back in May Kin bought Gerty, a 1970 Mercedes Benz 250c. 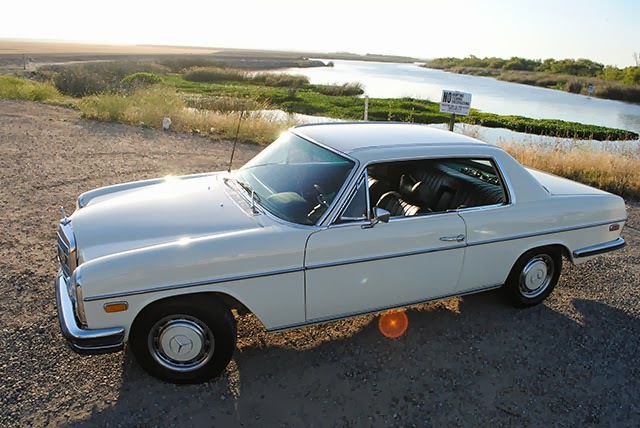 A sweet coupe that retains the classic design lines penned from the early MB styling ques. Anticipating regular weekend and event use he drove all over town chasing down and fixing bugs. This was going to be our rally racer until it suddenly over heated and seized. Now Kin is contemplating a drive-train and suspension swap that would turn her into the sleeper she was meant to be. In the meantime we still need to address her other attributes for road worthiness. Lights: Check all lights for function. Headlights, driving lights (if it has them), turn signals, and brake lights. Wiper blades: Check your wiper blades for dryness and peeling between the blade and retainer. Tires: Check for even tread wear, cracking, heat rings, air pressure (when cold). An over inflated tire will wear more in the center and also provide less traction in wet conditions. An under inflated tire will introduce more body roll and less efficient gas mileage. Remember to check the spare tire as well. 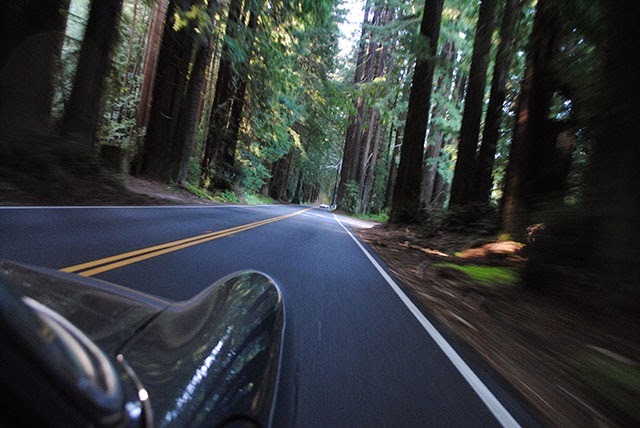 Fluids: This means engine oil, coolant, transmission, differential, brake and even the windshield wiper fluid. Check, change, and top off if necessary. Filters: Air and gas filters here. Check'em and change'em if needed. Rubber: We're talking belts, hoses, grommets and even wire insulation. Check for cracking, leaks, loose hose clamps and wear. Replace as needed. Carry spares. Fuses: Simple enough. Check the fuse box and make sure it's sorted. Carry extras in your road-side emergency kit. Battery: Check connections for corrosion. Also check it to be sure it's charged and holding a charge. Carburetors: Get these dialed in, especially if you plan on covering significant elevation changes. Check the fuel/air mixture. Check the timing. Take any tools you'll need to adjust road-side. Fluids: At this point we're checking for leaks. Check the same fluids in step 1 above. Look for residue of spray back at the radiator, engine block, transmission, and differential. Don't forget to check the brake lines and power steering for leaks. Brakes: After you've check fluid levels and are assured there are no leaks test them out. Drive the car and feel for brake response and pressure. Listen for squeals, grinding and other odd noises. Any repairs should be done by trained specialist. Lube: Lubricate the chassis fittings. This means tie rods, sway bars, ball joints, control arm pivots, etc. Proper maintenance will help reduce squeaks and rattles. Tighten any fittings that are loose. Exhaust: Check for leaks. Carbon monoxide poisoning is a silent killer. Look, listen, and feel for leaks. If there is anything suspicious have it gone through by a reputable muffler shop. Lights: Check dash and cabin lights for function and brightness. Safety: Check the function of seat belts. Be sure they are adjusted properly and the pre-tensioner (if equipped) is functioning. Check seats adjustments and be sure they are securely fastened to the rails and chassis. Paperwork: "License, insurance and registration, Sir". You know the drill. Make sure it's current. There you have it! Any shady-tree mechanic should be able to handle nearly all these tasks. If you're a little hesitant, much of it is observation anyway. Just take your car to your trusted mechanic and give him the run down on what you see. His road-worthy test will be (and should be) more exhaustive than this. Then you'll be ready to hit the open road... as soon as you put together your emergency road-side kit. More on that soon! We may not answer the phone, but we check our email obsessively! So if you have an idea for a story, article or information on an event, drop us a line. © MotorEthos.com 2013. Powered by Blogger.